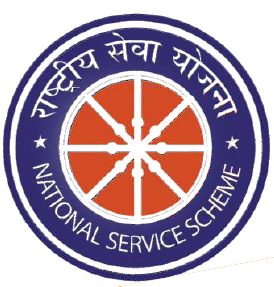 The National Service Scheme (NSS) Unit was established in the Central University of Jammu on August 2015. Within a short span of time, the NSS Unit has scaled many heights including volunteer’s participation in the National level camps/events such as Republic Day Parade and Youth Festivals. As envisaged by the VC, NSS is mandated to foster selfless community services among the student community by inculcating social responsibilities through various programmes and activities. NSS Unit of CUJ is partnering with National Council of Rural Institute (NCRI), under the Ministry of Human Resources Development (MHRD) to motivate and train students for community engagement. At present more than 250 volunteers registered with the unit and all of them are well connected with email and social media platforms. We have been closely working with the DC office Samba under various schemes such as Open Defecation Free (ODF) campaign in adjacent villages. In the coming years, the NSS Unit aspires to build strong community network both at local and national levels in order engage students of the Central University of Jammu in a wide spectrum of community related activities. This annual report merely reflects the passion for selfless service, dedication for community engagement and social commitment of our volunteers under the rubric of “NOT ME, BUT YOU”. One of the key objectives of NSS is to awaken the social consciousness of the students and provide them with an opportunity to engage with people around the campus constructively and to impart public social responsibility. The motto of NSS is “NOT ME BUT YOU”, which expresses the essence of democratic living, upholds the need for selfless service and volunteerism and underlines that individual welfare is dependent on the welfare of the society as whole.